Some of my students say that one of the hardest things in learning how to speak Portuguese is the pronunciation. 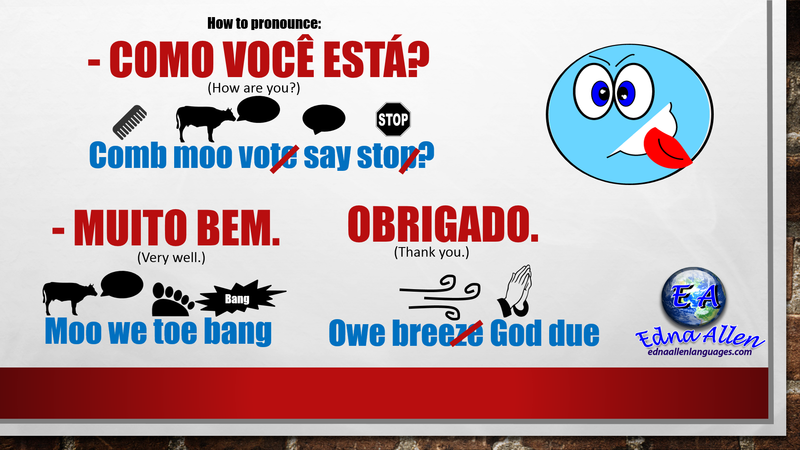 So the picture below might help you a little on how to pronounce the following words: “Como você está?” (How are you? ), “Muito bem.” (Very well.) and “Obrigado” (Thank you – said by a man, when said by a woman it should be “Obrigada”). If you struggle to pronounce anything in Portuguese, please let me know. It would be a good challenge, trying to find a way to express that.